For proper detoxification of toxins, adequate liver function is essential. The liver uses a two-phase method of detoxification. In phase I, fat-soluble substances, including toxins, are converted by the cytochrome p450 enzymes into intermediate molecules that, while they are now more water-soluble, are not yet ready to be eliminated. In phase II of liver detoxification, the intermediate substances created during phase I are attached to other substances, such as glutathione, sulfur, and methyl groups, to create sufficiently water-soluble compounds that can be excreted from the liver in the bile. A number of botanicals have demonstrated the ability to improve the liver's detoxification function as well as to increase the liver's output of bile. 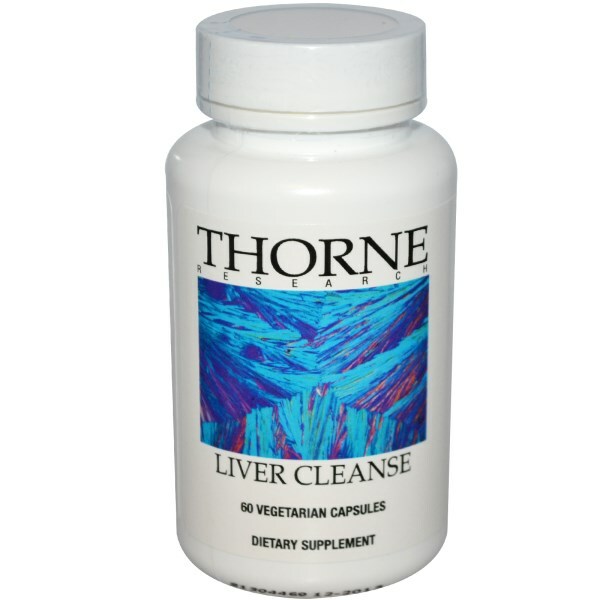 Liver Cleanse is a unique combination of herbs that work synergistically to enhance the function of the liver and is specifically helpful during the HCG diet program. The herbs in this formula enhance the production and flow of bile, which helps to optimize metabolism and the excretion of substances detoxified by the liver. Several of these herbs also provide support for the kidneys. Prior to embarking on a detoxification program it is important to achieve optimal bowel function. It is therefore important to include a fiber formula such as Lifestream Bowel Biotics as they support the elimination of toxins from the body, binding toxins released into the intestines from the liver and preventing their reabsorption. The suggested starting amount is one capsule taken in the evening. If more liver cleansing is indicated, supplementation can be gradually increased. Taraxacum PE 4:1. Arctium PE 4:1. Berberis Concentrate Berberine HCI 85%. Silybum standardized to Silymarin 65%. Arctostaphylos PE 4:1.